Rolled oats are often called Porridge Oats, Flaked Oats, Quick Oats or Superfast Oats but are usually the same type of product. They are a very versatile wholegrain cut oat flake ideally suited to the production of porridge, muesli, flapjacks, cakes, biscuits, cereal bars, bread coatings, cheesecake bases and much more besides. Rolled Oats can also be used to absorb moisture and to carry other flavours or even blended with other oat products to provide exciting taste and texture. 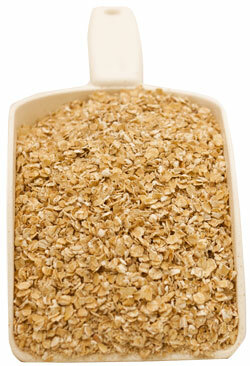 Morning Foods has a unique ability to tailor its rolled oats by size, weight, density & thickness to suit almost any application.